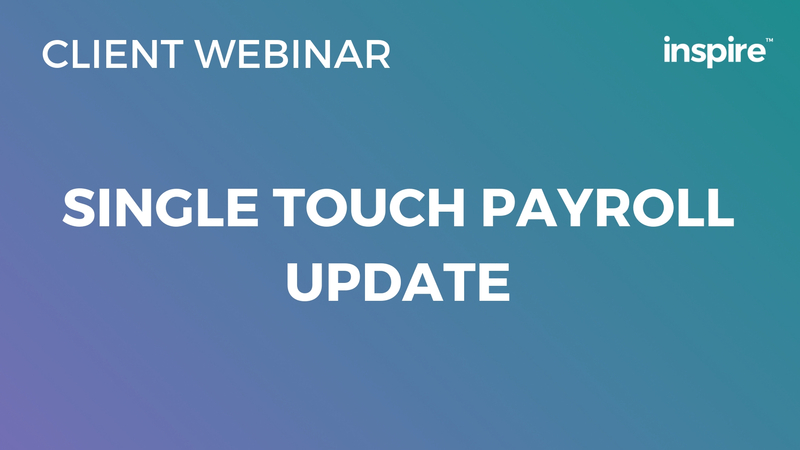 This week’s Client Webinar is on Setting up Single Touch Payroll on Xero. – What is Single Touch Payroll? – Who is it for? – When does it start? – How do you do it? We show you click by click how to set it up in Xero, starting at 18 minutes and 45 seconds into the recording. Single Touch Payroll (STP) is a new way of reporting tax and super information to the ATO, and as of July 1, 2019, using STP will be made mandatory unless your employee headcount is zero. While the ATO has stated that they will be lenient for the first 12 months as businesses adjust, it’s a good idea to get your head around the changes and adapt as soon as possible. This article will explain everything you need to know about STP, show you how to set up STP in Xero, and answer frequently asked questions about the new system. STP is real-time payroll reporting to ATO. Instead of reporting annually, you will now report each pay run. Pay run information is sent electronically to the ATO. Who is Single Touch Payroll for? Businesses that have any number of employees. If there are two directors of a company (only 2 employees on the payroll) your headcount would be zero, as directors are not included. If you are the only person on your payroll and you’re the company director your payroll would be zero and you wouldn’t have to report to payroll. However, you would have to report at the end of the year with the payment summaries. If you employ your spouse who isn’t a director, or another family member who isn’t a company director, then they would count towards headcount. When does Single Touch Payroll start? STP’s start date depends on how many employees are on your payroll. See the table below. If you’re a substantial employer, don’t stress. The ATO will be lenient on start dates while the transition takes place. STP reporting is included in all Xero subscriptions that include payroll. Xero also has a payroll only subscription if your software doesn’t support STP. Before you start, it’s important to ensure that ALL employee details are up to date. Hover over Payroll and go to “Pay Runs”. “Seamlesss reporting with STP”, Click “Get Started”. Opt-in to STP screen. Currently, it is optional, but as of July 1, 2019, it is mandatory. Click “Opt-in”. Review organisation details, click “Continue”. Connect Xero to the ATO. 1) Contact ATO, or 2)Provide proof of ownership with AusKey. Click confirmation box “I have contacted the ATO to connect my Xero account”, then click “Register”. Pay Runs screen shows “STP Filing” shows whether your pay runs have been filed with ATO. Once you’ve set up STP and added payslips, click “File” and it sends information to ATO. You need to do this for every single pay run. You need to file the pay run information on or before the payroll date. How do you pay yourself – drawings or salary? Make sure you are paying yourself the right amount and using the correct strategy – getting this wrong could cost you thousands in overpaid tax. How do I fix up pay runs if I’ve made a mistake? If you’ve made an error, such as underpayment, overpayment issues, etc. you can edit, lodge and amend pay runs on Xero. If you’re a substantial employee and you haven’t yet implemented STP, you can apply for an extension until you get your pay roll system sorted. Are there any changes to IAS or BAS reporting? No, IAS and BAS reporting remain the same. Why has the ATO implemented STP? In my opinion, the government is moving more towards the ability to take the PAYG tax out of Australian bank accounts because a lot of the ATO’s debt is small businesses who are paying BAS late, not paying Super. It’s my belief that the ATO eventually wants to implement an automated system that pays the ATO as quickly as possible – a similar system to what is done in the United States. Click here for more information about Single Touch Payroll on the ATO’s website.